What is a concussion? A concussion is a type of brain injury caused by a bump, blow, or jolt to the head that can change the way the brain normally works. Concussions can also occur from a blow to the body that causes the head to move rapidly back and forth. What should I do if my child was recently diagnosed with a concussion or had a significant hit to the head and has been having symptoms? 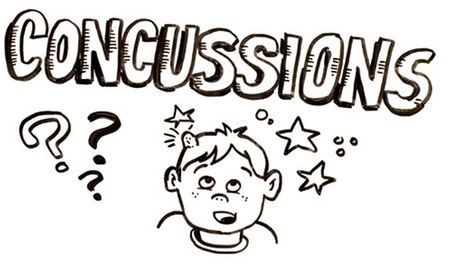 Please contact the school nurse so that she can start your child on our "Concussion Protocol". The school nurse is the Concussion Management Team leader. Our school follows the BrainSTEPS “Return to Learn Protocol” for managing the impacts of student concussions for the initial 4 weeks after the injury. The Team helps to monitor your child’s academic progress and physical symptoms so that recommendations for accommodations can be made to your child’s teacher. The Return to Learn Protocol is a collaborative approach including the student’s physician, school administrators, teachers, counselor, athletic trainer, parent, and school nurse. When a school has a Return to Learn plan in place, students should recover faster, remain in school while recovering, not fall as far behind and experience lower stress because there is a team who understands what the student needs. When can my child return to sports or gym class? Once your child is symptom free, your child must be re-evaluated by a physician and “cleared” to return to physical activity. A note from your child’s physician must be given to the school nurse permitting your child to return to gym class and sports.